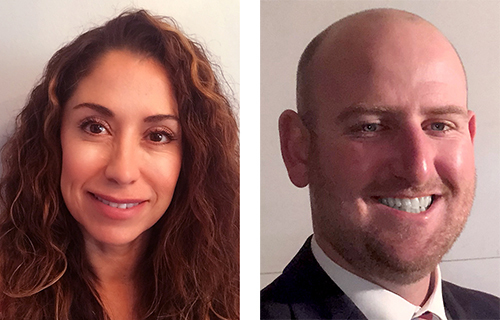 Cerritos, CA — April 9, 2018 – DW®, the industry leader in digital recorders, surveillance cameras and related management software, announces the appointment of security industry veterans Valerie Jimenez and Robert Stoddard as sales managers in Southern and Northern California, respectively. In their new roles, Ms. Jimenez and Mr. Stoddard are responsible to increase sales activity through distribution channels, support professional integrators and identify key end user customers in California. They join DW® with more than 20 years of combined security and video surveillance industry experience. Most recently, Ms. Jimenez was Senior Account Manager for WESCO Distribution. She was previously Business Development Manager, National Accounts for Merit LILIN USA Corp., Regional Sales Manager for Axis Communications, Video Management Consultant for Universal Services of America, Sales Representative for Panasonic USA and was a manufacturer’s representative in the video surveillance industry. Mr. Stoddard spent a total of 11 years with Northern Video (now Anixter) as Account Manager, Senior Account Manager and Vendor Relations. He previously worked as a manufacturer’s representative in the video surveillance industry covering Northern California and Northern Nevada. DW® (DW®) empowers our customers as the industry-leading single source of value-driven complete solutions for all video surveillance applications (HD over Coax® / hybrid / IP enterprise), focusing on ease of use and ROI. DW® products offer technologically-advanced features including multi-sensor HD cameras at real-time 30fps, Star-Light™ super low light technology, WDR, Smart DNR™ and Smart IR™. Complete IP megapixel surveillance solutions include single- and multi-sensor MEGApix® cameras and edge recording systems, Blackjack® NVRs, Blackjack® NAS devices and DW Spectrum® IPVMS for server, mobile and on-camera control. Complete Universal HD over Coax® surveillance solutions include single- and multi-sensor STAR-LIGHT™ Universal HD over Coax® cameras, VMAX® Universal HD over Coax® DVRs and mobile management applications.